The Episcopal Church makes a distinction between the two great sacraments (baptism and Eucharist) and other sacramental rites (confirmation, holy matrimony, reconciliation of a penitent, ordination, and unction). This is because we believe that all should be baptized and receive communion, but not everyone needs to get married or be ordained, for example. The reason that baptism and Eucharist are proscribed is because they were commanded by Christ himself in the Gospels. 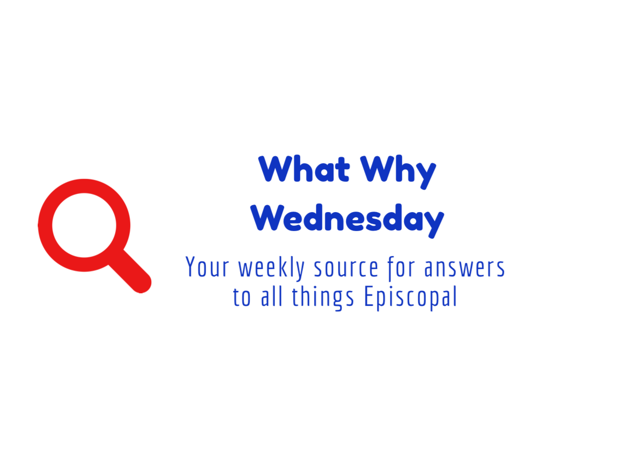 Do you have any other questions about sacraments or anything Episcopal-related? Click the button below to suggest a topic for another What Why Wednesday!